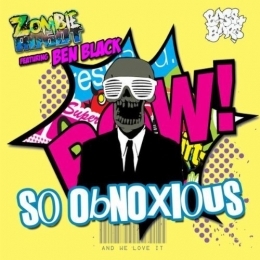 After drawing praise from the likes of Annie Nightingale, Lowestoft electro-house producer Zombie Robot gave Delusionists frontman Ben Black the call for his first vocalled track. This debut release for label Bass+Bars - an offshoot of Bass=Win - sees Mr Black switch up the status quo and, like he says, show another string to his bow. This one's available from all the big digital outlets.